Crony Capitalism – Page 208 – When buying and selling are controlled by legislation, the first things to be bought and sold are legislators. President Obama Announces Operation Enduring Burden. He calls it ISIL Over the last year, the President has overseen the transfer of money and weapons to ISIS, a freedom-fighting organization in Syria. Now he is going to transfer more money and more weapons to the freedom fighters in Syria, who will use it to fight the ISIL organization, which is fighting-freedom organization. This post was published at Gary North on September 11, 2014. Here is the quote that perfectly captures our era: “People of privilege will always risk their complete destruction rather than surrender any material part of their advantage.” (John Kenneth Galbraith) The trick, of course, is to mask the unspoken second half of of that statement: everybody else gets destroyed along with the Elites when the system implodes. Union pension funds: toast. Government employees’ pension funds: toast. 401Ks: toast. IRAs: toast. The echo-bubble in housing: toast. The Fed’s favorite PR cover to cloak the enrichment of their financier cronies, the wealth effect:toast. This post was published at Charles Hugh Smith on WEDNESDAY, SEPTEMBER 10, 2014. Our crony-capitalist driven health care system is devouring the American economy, and the data which proves that baleful trend could not be more dispositive. In 1960, national health expenditures amounted to $150 per capita and hardly 5% of GDP. By the year 2000, these figures had grown to $5,000 per capita and 13.8% of GDP. Today health care devours nearly $9,000 per capita and more than 18% of GDP. Needless to say, America did not turn into a giant sick bay during the last 55 years. Instead, the health care delivery system was virtually stripped of any semblance of market prices, consumer choice and economic discipline and efficiency. As a practical matter, out-of-pocket payments for health care – unlike almost all other consumption goods – -virtually disappeared from the system. As a consequence, health care has been essentially transformed into a free good at the point of use. In turn, this has spawned massive over-utilization, gross inefficiency and economic rent extraction by the cartels which dominate the system – – hospital chains, insurance companies, HMOs, Big Pharma, medical equipment and prosthetic vendors, etc. This post was published at David Stockmans Contra Corner on September 10, 2014. The 2010 Dodd-Frank Act, which included the orderly liquidation living wills requirement, was meant to prevent future rescues of systemically important financial institutions. But the idea that current regulations are capable of solving the too-big-to-fail problem was challenged by the recent regulatory rejection of 11 banks' living wills. Some argue that living wills are a work-in-progress that will improve over time. However, the truth is that living wills are a myth meant to calm the populace. It is impossible to neatly unwind a failed SIFI, since the failure of such a large institution will necessarily cause unacceptable collateral damage. The most likely course of action is that regulators will maintain the status quo and change nothing of substance, relying on cosmetic fixes to give voters a false sense of security. Some free market enthusiasts might argue that the status quo isn't so bad, so long as customers and not regulators decide how big banks should be. But the SIFI market is anything but free. The big bank model failed in late 2008; in a free market, these banks would have ceased to exist. They survived because they are the creations of the government, not the free market. Exempt from market discipline, they represent crony capitalism at its worst. No Country for Old Men We are sitting in the lobby of the China World Hotel in Beijing. It is a very large space and very unlike most hotels. Monday, we stopped into the lobby of the Marriott Opera Ambassador Hotel on Boulevard Haussmann in Paris. Like most lobbies, it was quiet, with just a few people having coffee. Here, there are hundreds of people – almost all young. I am the oldest person, a fossil from another continent and another time. The young people are dressed casually but well. They sit in groups talking… as though planning their next marketing campaign. ‘Everyone has great confidence in the future,’ says a Chinese colleague. ‘Things have gotten so much better over the last 20 years. And we expect that to continue. Whether he will succeed or not, we can’t say. But at least it sounds promising. Charlie Chaplin stands on Douglas Fairbanks’ shoulders during a rally at Wall Street in 1918. This post was published at Acting-Man on September 5, 2014. Much has been written about the dysfunction in Washington D. C. Pundits have been wringing their hands for years over the rise of bitter partisan politics and the resulting gridlock. The impact of this–what I have termed profound political disunity–extends beyond the narrow confines of domestic politics, a reality reflected in Foreign Affairs new survey of our winter of political discontent, Dysfunction Junction. But all these discussions of our dysfunctional politics ignore the larger truth, which is the entire model of the Status Quo is broken. Even if reformers succeeded in ridding the political system of cronyism and favors-for-campaign-contributions–two essentially impossible reforms, given the legalistic cover provided for cronyism and bought and paid for representatives, the basic model of “how the world works” that dominates the world-view of leaders across the political spectrum would remain broken. There are only three alternatives: 1. The current gridlock continues, and the policies in place grind on with minor tweaks. This post was published at Charles Hugh Smith on MONDAY, AUGUST 25, 2014. Maryland, Massachusetts, Oregon and Nevada have gone through nearly a half billion dollars building inoperable Obamacare websites for vastly overpriced state exchanges. For government, though, nothing succeeds like failure, especially if it rewards selected partners in crime, so the feds will continue with little resistance to pour millions of dollars more down these rat holes. In total, as of February, 14 states have received federal money to get Obamacare exchanges up. California alone received a whopping $1 billion to set-up its exchange. Burisma Holdings, the largest private gas producer in Ukraine, has expanded its Board of Directors by bringing on Mr. R Hunter Biden as a new director. In this interview with Bill Moyers, David Stockman, who first coined the term Crony Capitalism, explains what’s happened in the political-economic realm since his post as Budget Director under Reagan. The evidence that we’ve embarked on a “new system” has become more obvious with time. Beginning with the $20 billion bailout of the Mexican peso in 1994, progressing with the bailout of Long Term Capital Management in 1998 and the recent bailout in 2008 with the $700 billion Wall Street package, Stockman explains that the benefactors are not limited to those being bailed out. The investors who financed those failures are the ones who’ve really benefited. These are the so-called cronies, who have ties to those in high positions, capable of bending laws to ensure the majority of profits go to themselves, while losses are always taken by the tax payers. Mary Jo White as the SEC Head? 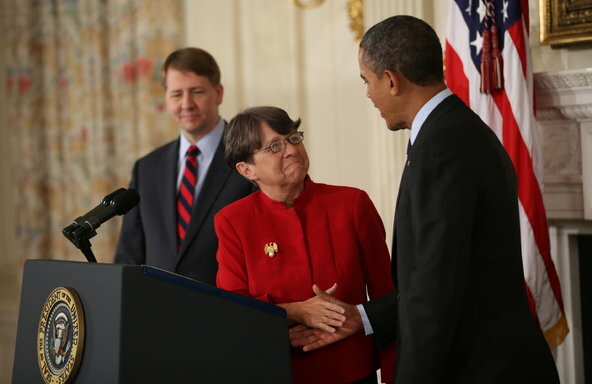 Mary Jo White was nominated by Barack Obama to be the next chair for the SEC. But as this article explains, her cronies over at the law firm of Debevoise & Plimpton LLP could surely capitalize on the situation if confirmed by the senate. Bill Moyers interviews Matt Taibbi regarding the lack of justice in Wall Street prosecutions, or for that matter, lack of ANY prosecutions.